The number of cybersecurity events in 2016 far exceeded all estimates and demonstrated a dramatic evolution forward in the threat landscape leading into 2017. 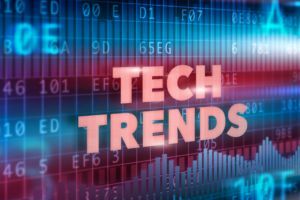 This has driven information technology security and risk to become the largest growing sector of technology jobs predicted to become available across the next three years. Given the amount of threat and risk, companies are redeveloping their operations with a core focus on security to develop a security procedure that ensures confidentiality, integrity, and availability of all technology within the organization. As bandwidth demand continues to increase, clients are looking for more cost-effective ways to grow both public and private bandwidth. SDWAN has carved a new path for bandwidth growth by enhancing download speeds, improving network resiliency, and maintaining a high level of performance for applications and users within the environment. SDWAN provides a cost-conscious way to meet organizational bandwidth needs without compromising SLA and functionality of existing business network. Infrastructure has developed over the past decade to a point where the niches of compute, network, and storage have diversified immensely. As workloads continue to grow, the present bandwidth capabilities of iSCSI and fiber channel become limited. New hyper-converged architecture will bring these three tiers of technology together into a single chassis, a platform that communicates at speeds ten times greater than standard connectivity technologies, and provides high performance redundancy at a fraction of the cost of traditional infrastructure. Intel claims that the number of connected devices could surge to 200 billion by 2020, up from 15 billion in 2015. Technology continues to permeate into the business world with compute enabled devices insulating themselves into a large amount of technology that is pervasive and popular. In 2017, the expectation that IoT will drive further into the business world is a real concern, with many business processes beginning to include IoT devices. Management, maintenance, and security of these devices are a real concern for business owners and technologists as the usage grows. MDM helps organizations manage its entire fleet of mobile devices and endpoints, while reducing security and compliance risks. It provides visibility into diverse mobile inventories, enabling organizations to provision, manage, and help secure specific business data and applications being accessed by end users. With the growing security concerns to protect company data, the MDM industry is expected emerge as one of the fastest growing segments in the next few years due to the rising mobile workforce. Through our diverse portfolio of technology partners, Carrier Access is ready to get your organization up to speed with what’s to come in the tech industry. No matter the company size or industry, Carrier Access has a vast array of resources and partners to solve your business needs. Setup a consultation today.